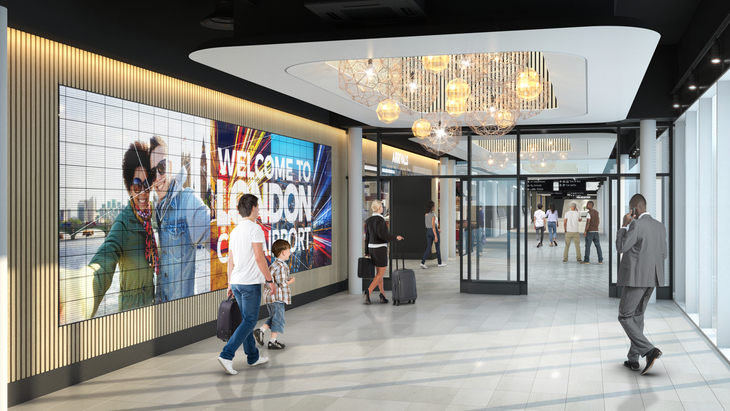 It isn’t just the exterior of London City Airport that’s getting a new look. 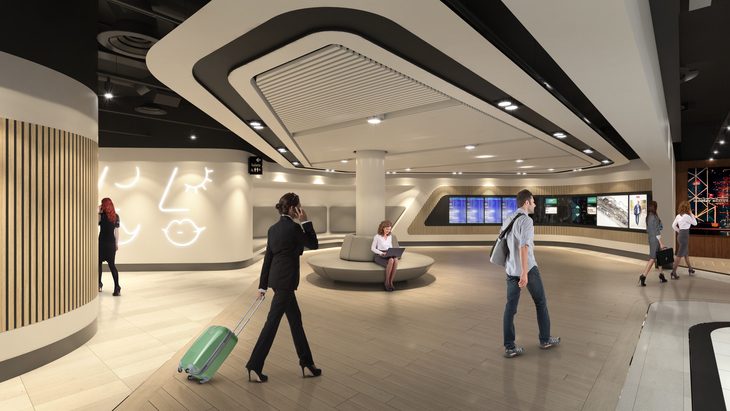 The £500 million upgrade is bringing the latest in that much-derided genre – the chic interior airport design. The LCY estate is currently filled with cranes, ironwork and cement mixers. Inside there are dreams of new shops, restaurants and bars, giving the hub a more leisurely feel. 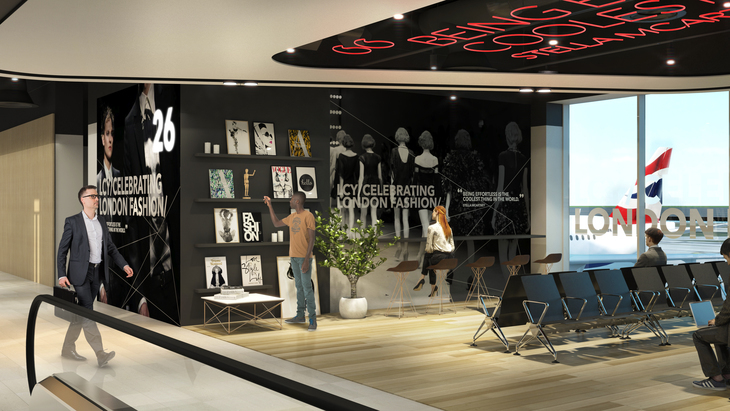 New concept images produced by London practice The Design Solution offer a glimpse of what’s to come in 2022. Soft curving lines and a palette inspired by the River Thames fill the new space. 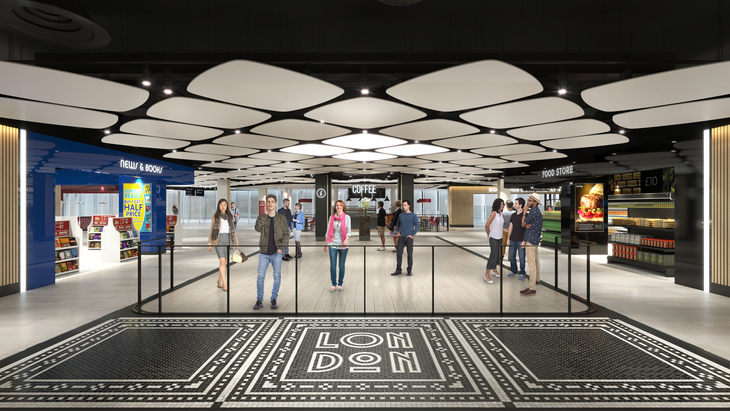 Also there are light features, art installations, graphic wall panels and large format digital screens that LCY wants to fill with the results of collaborations with London talent. 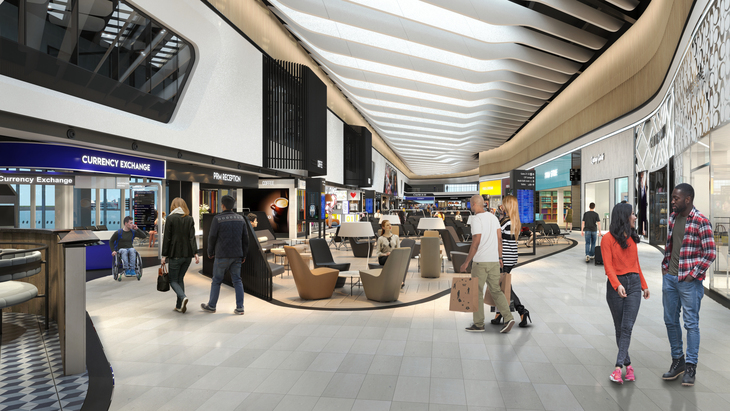 “We have a blank canvas and a great opportunity to provide our passengers with an airport experience that truly reflects modern London. The £500 million City Airport Development Programme includes the new terminal facilities, eight new aircraft stands and a parallel taxiway. The 1987 structure was built to accommodate around 1 million passengers per year but the airport is on track to receive five million passengers in 2019 for the first time. 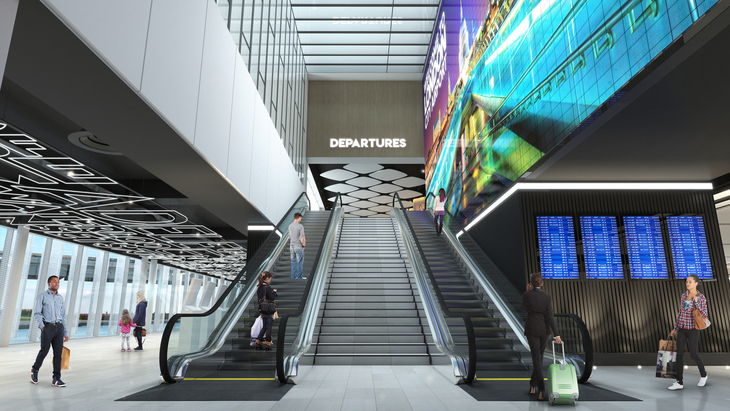 The new terminal will provide four times the size of floor space. 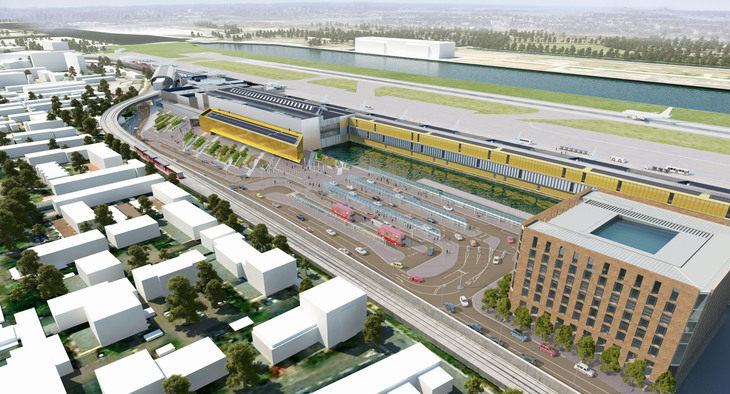 Combined, London City Airport’s terminal from 2022 will cover a total area of 68,000 m². Once the transformation is complete the airport will be able to accommodate a further two million passengers a year and 30,000 extra flights. Next year the airport will begin testing a new digital air traffic control tower ahead of its introduction in 2020. New routes to Munich, Budapest, Vilnius, Warsaw, Newcastle and Split also begin in the New Year.